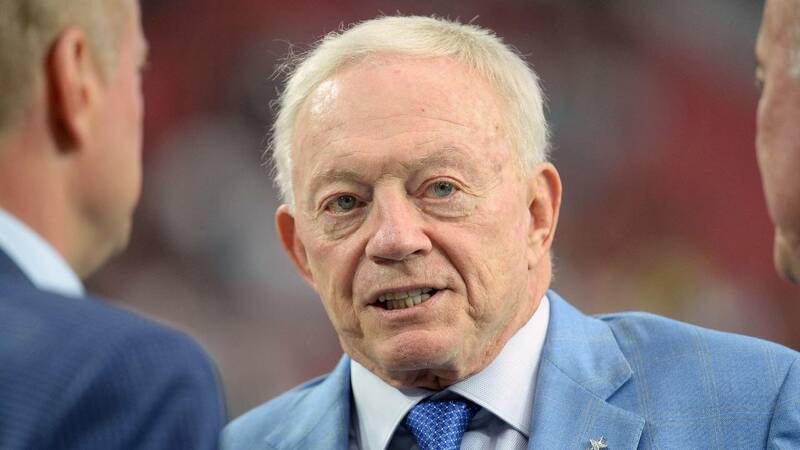 The NFL is reportedly seeking more than $2 million from Jerry Jones for legal fees related to the Dallas Cowboys owner's actions related to Ezekiel Elliott's suspension as well as Roger Goodell's contract extension. Jones is appealing the NFL's demands, according to the Washington Post and ESPN. The Washington Post reported that Jones has requested a hearing, which would be before Goodell. An earlier New York Times report from Monday originally characterized the reimbursement as a fine that Goodell was going to levy on Jones. However, both the AP and ESPN reported that instead other NFL owners are seeking restitution based on a 1997 resolution that allows owners to receive reimbursement for legal fees related to litigation initiated by a team owner. ESPN's Dan Graziano reported that the action was generated by Jones' fellow owners and has been approved by the NFL's finance committee. The Cowboys declined comment to both the AP and ESPN when contacted about the issue.